Mashable secures the 2nd position in top 10 blogs sites and that's why its a 2nd richest blog in the world. It was founded in 2005 by Pete Cashmore and he's the 2nd highest earner blogger in the world. Mashable covers everything from technology, world, news, social media, trending topics, business, entertainment, life style, digital, etc and that's why it stood on 2nd position in the top 10 list of blogs. Mashable's look is pretty decent. You will get very good articles on the categories mentioned above. They have very huge team maintaining this site. It is the most popular and most influential place for digital, news and technology. The digital innovations first published on Mashable. This blog is the leading source for news, information and innovation for connected generations since 2005 and this blog is soon going to complete a decade. The team working on this blog is categorized in 6 parts (like editorial, Advertising/Sales, Operation, product, Marketing, etc) and Mashable has more that 70+ employees. It has 20 Million social media followers. This shows the fan following of Mashable. This is the only blog on the web having this much fan following. This shows how much people like to visit this blog. The team is working day and night to maintain and keep updating this blog. This blog is constantly updating which makes mashable one of the most popular blog on the web. The earning of Mashable is about $580,000 to $600,000 Per Month. I've analyzed this site and founded the data mentioned below in the tabular format. Pete Cashmore is the CEO and founder of very famous blog Mashable. Mashable is the largest and award winning independent blog. 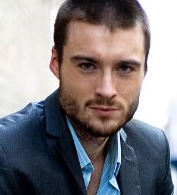 Pete Cashmore is the youngest blogger and 2nd richest blogger in the world. He founded mashable, when he was 19 year old and now it has become one of the most visited blog on the internet. He has been described as the “Sage of Media” and considered one of the most influential voices of his generation. Pete was featured in Time Magazine's 100 most influential people and Forbes 30 under 30 lists.